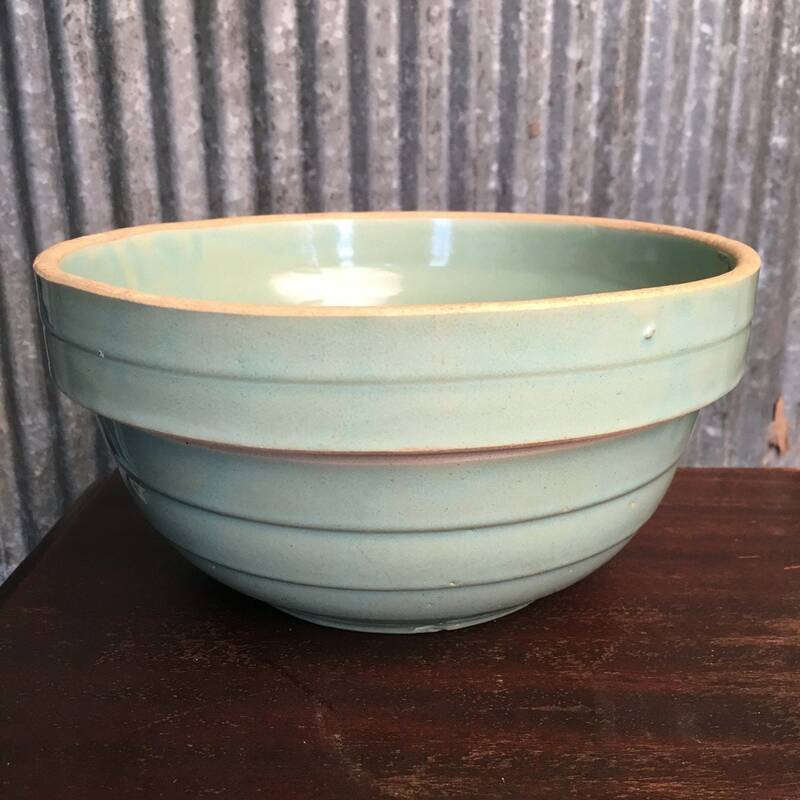 A classic 1920's era stoneware mixing bowl... in a minty green color! 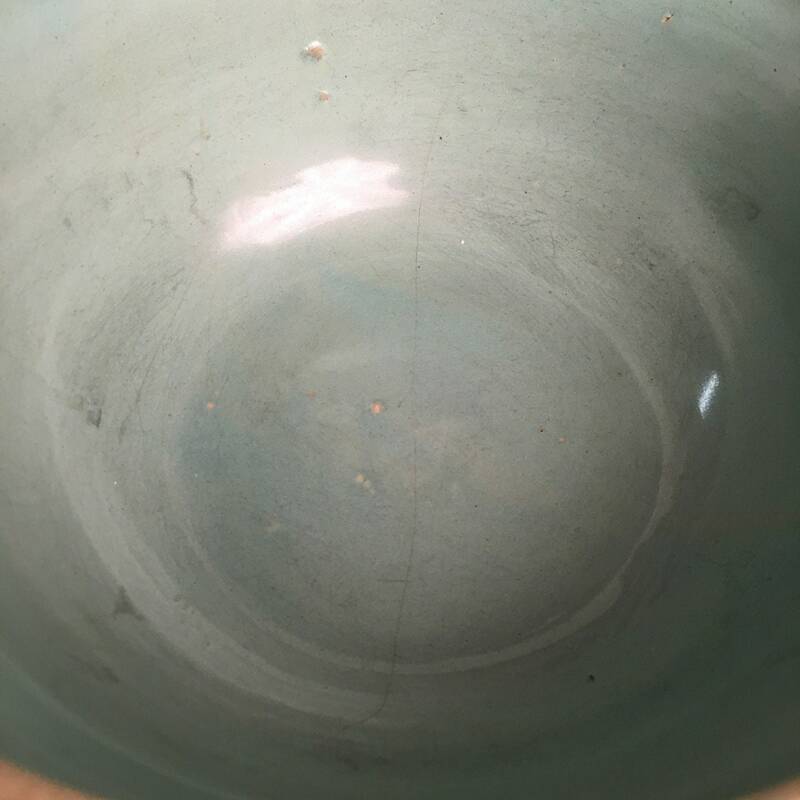 Most bowls you see like this are dark brown, but this one is much cooler! I love vintage mixing bowls, I love vintage green ones at that, but I have too many bowls and need to sell some. 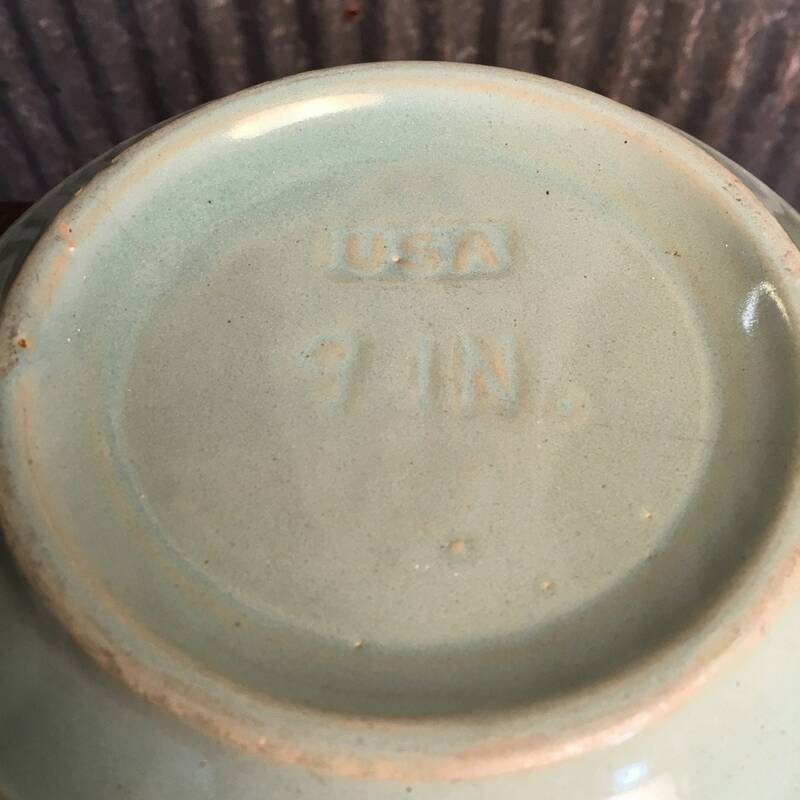 This is an 9 inch bowl (9" w x 4.5" h) and made in the USA. There is a hairline crack in the bottom but it doesn't appear to run up the sides. There are some imperfections in the glaze and clay which give it a slightly rustic or primitive feel. There are minor chips. I'd say it is in fair to good condition. Because of the hairline crack I'd recommend not using it for mixing wet or dry ingredients, but perhaps as a fruit bowl or for display. I personally use these type of bowls to hold apples, or onions, etc on the counter.